Rocky Point’s Joseph A. Edgar Intermediate School fourth-graders in Deborah Vieira and Lisa Celentano’s class put pencil to paper this winter to showcase their creativity in conjunction with a community service project. After researching fairy tales and the structure of the written piece, the students developed their own fractured fairy tale. Once completed, the pieces were bound together to create a class collection of original stories. Then, teaming with their peers from Kristie Jackson’s class, the class coordinated a pajama donation collection. 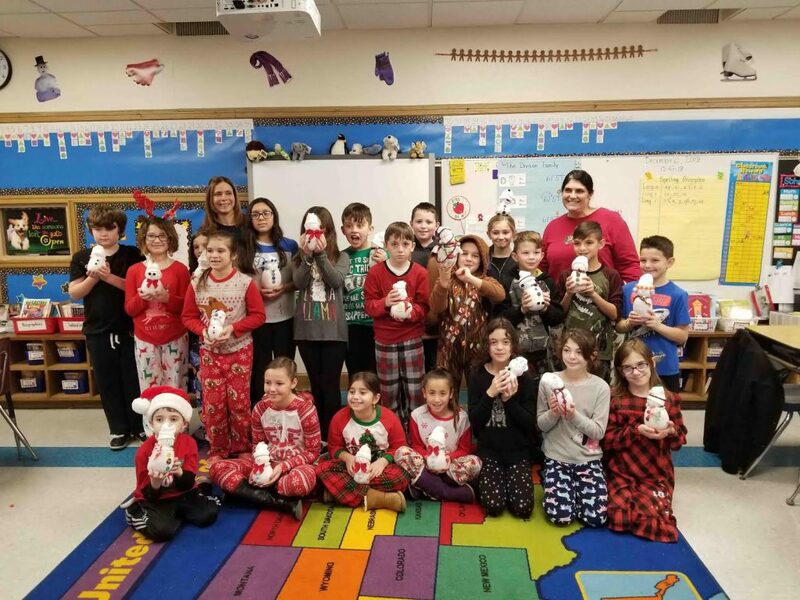 The donated items – which were made by students and staff at JAE as well as Frank J. Carasiti Elementary School – were given to the Pajama Program, an initiative of Scholastics Great Bedtime Story Pajama Drive. This organization matches each donated pair of pajamas with a book, and in this case will match them with the class fairytale collection the students created.